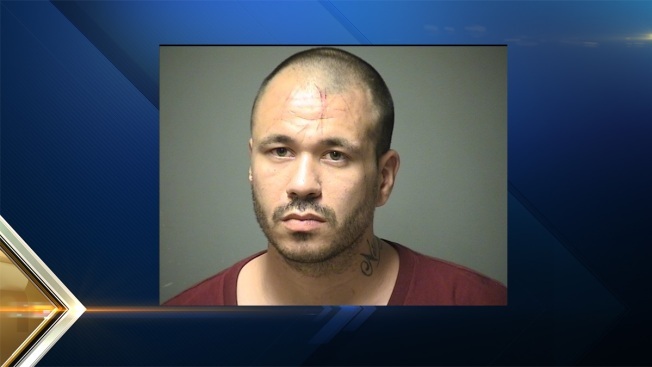 A Manchester, New Hampshire, man was arrested Thursday night in connection with a shooting earlier this week. Manchester Police conducted a raid at 273 Belmont St., 2nd floor, around 8 p.m. Thursday and arrested John Gebo, 30, of 336 Amherst St., and Kelvin Reddick, 33, no fixed address, on outstanding warrants for sale of a narcotic drug. Gebo was also charged with four counts of reckless conduct and felon in possession of a firearm for his actions in the early-morning hours of June 8, when he allegedly fired four bullets into an apartment building at 91 West St.
No one was hurt, but four people were inside the residence at the time. Police found several spent shell casings in front of the building. They also found three bullet holes inside of a first-floor apartment, and one that damaged a car belonging to a second-floor resident. One bullet entered the kitchen area and damaged a piece of pottery. It was the second time in three weeks that the building had been struck by bullets. On May 20, the first-floor apartment also had damage from bullets. No one was hurt in that incident either. Gebo appeared in Manchester District Court on Friday morning. No further details were immediately available.